In the lead up to this year's Beer & BBQ Festival double-header in Sydney and Adelaide, the organisers lined up a tour of Australia by BrewDog's German brewer Franz Horak. 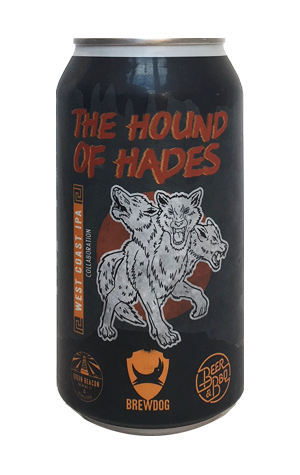 On his grand tour, he created beers with five breweries in different states and ACT and, while all were poured at the two festivals, it's Green Beacon that has brought its collaboration, The Hounds Of Hades, to a wider audience in cans. It's a West Coast IPA that claims to be "packed with classic American hop aromas and flavours" and you can't deny the accuracy of that description. This is a far cry from the tropical hop bombs and murky breakfast juices that have occupied many IPA brewers' minds in recent times; instead, it's leaner and with much more of that piney character that was once ubiquitous yet now makes for more of a pleasant change. For all the hops that have been layered on, it retains one of the qualities that's helped make Green Beacon one of the finest breweries in the country: a balance that allows the drinker to enjoy the hop flavours without being battered by bitterness.